How can I register for Cannonball Read 11? What were the dates for Cannonball Read 10? I don’t have my own blog, do I need one? I didn’t create my blog yet, how can I sign up for CBR11? How do I get access to this site to post? Can I write a review this year of a book I read at the end of last? Do I have to finish the book for it to count? I lost the dark gray bar at the top of the blog, how do I get that back? Why can’t I log in? My IP address was locked out, and I need help. Do I have to review every book I read? Can you explain the new Book Information fields? How do you calculate my review number? What happened to the quantity field? Why do I have to enter a link to Amazon.com for my book? What is the minimum number of categories? What is the minimum number of tags? Why should I add a book author tag? How do I select the star rating for my review? Can I review multiple books in one post? Can I link to multiple posts from my own blog in a single post here? Something’s wrong with the link I added to my post, it says “The page you are looking for no longer exists.” What did I do wrong? In the body of my review, do I put the book title in quotes or italics? How do I make sure my number of books on the Leaderboard is correct? How do I put a picture in my review and make it look nice? How do I make my image clickable and link it to a website? What happened to my animated gif? It’s not moving! Why do you want a picture of my book for Instagram and what kind of photo are you looking for? How do I update the picture next to my name on my posts, comments, or bio? Why doesn’t my post have a picture next to it on the homepage? I changed my email address, how do I update that information here? I want more CBR, how can I connect with more Cannonballers? Wasn’t there a map of all Cannonball Read participants? How does CBR fight cancer? I don’t see my question here, and I need help. How can I edit the description that shows next to my name on my posts and elsewhere? Cannonball Read (CBR) is an annual, memorial book challenge to read and review 52 books in a year. Or 26. Or 13. Choose your level and read to meet your goal all while fundraising for the American Cancer Society in AlabamaPink’s name. Registration is open now. Visit Registration Step 1 to begin. CBR10 began on 1/1/2018 and ended at noon on New Year’s Eve 2018 (12/31/2018, 12:00 p.m. EST). There is no age requirement. We have several Junior Cannonballers participating already who are under 18. Parents, you will have to post for your Junior Cannonballer on your account. Drop me a line about this. Also be forewarned that some reviews here may contain adult language and be not-safe-for-work (NSFW). I don’t have a blog, do I need one? No, if you don’t want to create your own blog, you may post all of your reviews to the group blog (this site) only. If that’s what you plan to do, on registration please leave the blog field blank. If you want to have your own blog for reviews, there are number of free blog sites like WordPress.com or Blogger. Visit those sites, or any other blogging platform you know, and set up one that works for you. If you want to have your own blog for reviews, please create your blog prior to signing up so that you can submit your blog address. It doesn’t have to have any reviews yet, or a finished design, just go ahead and acquire the address you’ll use. Yes, if you have a blog, you may post your review there. However, you must also post at least a link (and short paragraph for context) to each review you write on the group blog. Please link back to the group blog from your own post too. At registration, you should have signed up with an email address. At the bottom of every page in the footer next to the ©, is a Log in link, where you can log in to get access to the administration dashboard. Start with a short summary of the book. Tell the reader if you liked it or not, and why. Throw in a quote or two from the book. Finish up with whether you recommend it or not. Voilà! You have your first review. Read any book, of any length, just don’t stint on the review. No, you must write a review, and post it on the internet for the book to count. Yes, you can review something you didn’t finish. Be up front in the review that you haven’t finished it, and tell us why (make sure it’s 250+ words). For CBR we trust that you’re going to write a good faith review. And honestly, telling people why you ditched it, and warning them away, can sometimes make the best reviews. Scroll to the bottom of the blog and click the “Log In” link in the footer. WordPress.org has an excellent online manual. Learn how to write a post here. I lost the gray bar at the top of the blog, how do I get that back? Don’t worry, you’ve just been logged out of the blog. Scroll to the bottom of the blog and click the “Log In” link in the footer. Once you log back in, you’ll get the bar back and will now have access to the administration dashboard. If you do not have your own blog, you’ll post the whole review here on the group blog. Mouse over “Cannonball Read” in the gray band at the top left, and then select New > Post. If you have your own blog, post the review there in entirety, and then create a new post on this blog. Write a short blurb about your review that’s posted on your site, or maybe copy and paste the first paragraph or sentence, something to entice the reader to click through to your blog. Highlight the text that you want people to be able to click on to get to your blog, and then click the button that looks like a little chain. (When you mouse over that button, it says “Insert/Edit link”.) Add the link to the review post on your site, and then click “Add Link.” On your own blog, please link back to cannonballread.com so that there are more links coming TO our site. Usually security lockouts are 15 minutes long. If after that time you still can’t get in, please contact MsWas. Give her your IP address to make things go faster. Find your IP address here. No you don’t! If there’s a book too bad, too boring, or read too long ago, you don’t have to let it keep you from getting to the rest of your to-be-reviewed list. MsWas calls this “review amnesty,” and it is 100% ok. You might be a completist and feel the need to write something about every book, but that is not required for CBR. Book reviews should be at least three paragraphs, a minimum of 250 words. Minimum word count in a multi-book review is 150 words per book. If you have a question about the length of your post, please contact MsWas. In addition to the field for the actual title of the book, please also enter your own, creative title for your review post. The more creative your title is, the better. 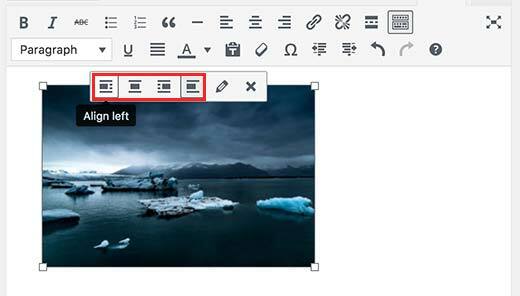 Use the post title to draw in a reader and to add additional context for your review. The new Book Information fields allow you to enter multiple books and links in each review, and will count the number of rows to calculate your book quantity. There is also a checkbox that says “This is a book review” that defaults to “yes.” Do not change this to “no” unless you are writing a post that is not a book review, such as a Book Exchange post or some other kind of post that MsWas has asked you to write. If you have more than one book in your review, click “Add Row” for each book you need to include. If you accidently add too many rows and need to remove one, mouse over the gray area after the Amazon Link field, and click the minus sign to “remove row”. New for 2019, enter the information for the book(s) in your review, and based on the number of books entered, your total books will be automatically calcualted. New for 2019, the quantity field is no longer needed. Review numbers and totals are based on the number of books you entered in the Book Information field. Verify your numbers on the Leaderboard and your review number in the footer of your review. One of our goals is to raise as much money for the American Cancer Society as possible. Remember, we’re doing this in AlabamaPink’s memory. The book link field to Amazon.com will automatically get our affiliate code tacked on to the end. If you have a problem with the link on amazon, enter https://cannonballread.com in the field, save your draft, and please contact MsWas before publishing your post. Links to other sites may not work if they are in the amazon field. We use WordPress Categories for our book genres. These checkboxes are located in the box below the blue “Publish/Update” button, either at the right of your screen or at the bottom on mobile. If you need a book category/genre that you don’t see here, please let MsWas know. What is the minimum number of categories/genres? Please select at least one category/genre. The broadest categories are Fiction and Non-Fiction. If there is a genre/category we don’t have, please contact MsWas. Tags are similar to categories, but they are generally used to describe your post in more detail and help group posts together. That’s why tagging the author is so important. Please add at least one important tag – the author’s name. Adding a tag for the book author makes it easier to share a link to all reviews of that author’s books. Visitors can click the authors name in the footer of your review and find, for example all of the Diana Gabaldon books Cannonballers have reviewed. The 1-5 (worst to best) star ratings are a way for you to tell others what’s the cream of the crop or the worst of the worst. To select a rating when you are composing your post, look on the right side, below the Publish button, below Categories and Tags, and find the “Post Rating” box. You may have to scroll down. Select the number of stars for your review in the dropdown menu. The default is no stars, so if you don’t select a number, no stars will show. Then Update/Publish. To add a star category after your post is published, Go to Posts> All Posts>Edit> and follow as above. Don’t forget to click “Update”! See reviews that have been given five stars, four, three, two and the wonderful/dreaded one star. Yes, you may review several books within a single group blog post. This may make sense for series or related books. Minimum words per book in a multi-book review is 150. Make sure to list the book title and author title for all books in the body of your post. The new Book Information fields make it easier to review multiple books. Click the Add Row button to add a new book to your review. Yes, you can link to multiple posts from your blog in a single group blog post. Enter the correct quantity of books in the Quantity field. Make sure you enter the full URL to a page – including the “http://” – into the little link pop-up field. Italicize book titles, movies, TV series and comic series. Put quotation marks around individual short stories, poems, episodes or issue names. Ex. This volume of works by Kate Chopin contains both “The Story of an Hour” and The Awakening. Read a more extensive list of works and formatting here. Note: never use underline for titles or anything. That’s reserved for text containing a link. Also, no need to indent paragraphs. Simply enter the book information for each book in your review and the Leaderboard should calculate your total. If your total does not match the leaderboard, please contact MsWas. How do I post an image and make it look nice? It’s easy to get the image on the page, and WordPress.org can tell you how. To make it look nice, make sure you align all images to the right or left in your post, so the text wraps around the image. Just mouse over the image and select the aligtment. WordPress.org can tell you how to do that too. Click once on your image to see the image alignment buttons. Smaller pictures (like book covers) should be right or left aligned. This image is center aligned. If you’d like to add a link to your image and make it clickable, under attachment display settings, select “Link to” > “Custom URL”. Once that option is selected, a field will appear below that menu where you can paste or type in your link. Always remember to use “http://” when linking to a site other than cannonballread.com. Make sure that when you insert an animated gif, you insert it at the full size. All of the other size options are lost when WordPress creates them. Those are still. Why do you want a picture of my book for Instagram, and what kind of photo are you looking for? We’re making a big push on our instagram account, and when your review is going to be featured, you’ll be contacted to find out if you have (or could take) a couple of pretty pictures of the book if you still have it. If it was an e-book, feel free to send any other general reading picture you have (or take) which could be your to-be-read pile or your bookshelves, or a picture of the book pulled up on your device. If not, we’ll make do. You can see this picture in your profile, but management of this is handled through Gravatar. Sign up for an account and upload photos to be used as icons on all WordPress sites, Cannonball Read included. That picture is called the Featured Image, and the field to edit it can be found in the dashboard, right below Post Ratings, under the Update/Publish button. If you haven’t picked your image, WordPress should choose from one of the images in your post. If that’s not acceptable or doesn’t work, click “Set featured image” and upload or select an image there. Log into the website using the email address you signed up with, and at the top right, mouse over where it says “Howdy…” and select “Edit My Profile.” Change the email address that is shown under “Contact Info,” and the scroll to the bottom and click “Update Profile.” Please notify MsWas so she can update her records. This year’s Twitter hashtag is #CBR11. A hashtag is a way to tag tweets with a common term to aid in searching and organizing tweets. Find out more. You can connect with Cannonballers on any of our social media accounts. If you’re on Facebook a lot, the group Cannonball Read Book Chat has a lot of great conversation. There’s also our Facebook Page, Twitter, Tumblr, Goodreads and Instagram. Yes, see the map of Cannonballers signed up for CBR11 on our participants page. Maps of Cannonball Read 9 and Cannonball Read 10 participants are still online. We fundraise for the American Cancer Society in a number of ways: through ad revenue, affiliate links, CBR gear at redbubble.com and donations. See how much we’ve donated this year. Paste one or both of the RSS feed addresses in the link above into a reader like Feedly, Netvibes or other RSS reader. This information is listed in your profile under Biographical Info. Go to your profile, and scroll down to below your email address and Contact Info. Type in the details you’d like to show, and scroll to the bottom of the page and click “Update Profile”. I don’t see my question here, and I need help! Please contact MsWas, and she will be happy to help you.